What did the richest man in the world go to great lengths (pun intended) to hide? 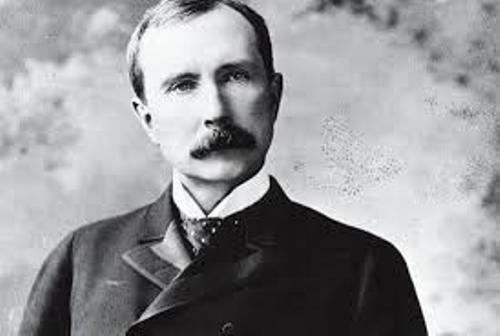 John D. Rockefeller, the world’s first billionaire, had not been a happy kid. The problem was his father, William, a wandering snake oil salesman and scam artist, who had two wives (plus a couple of kids by a mistress). He hid his second wife and kids from his first wife and their six children, of whom John was the second oldest. When he was home, which wasn’t often, William played betting games with his sons, games in the category of I-win, you-lose. When his sons did manage to win, William would scam his sons out of their winnings. John, always a serious boy, dropped out of high school to take a business course. He got his first job at 16 – after a relentless search – as an assistant bookkeeper for a produce company. His day’s pay was 50₵. When he was 19, John and a friend started their own company. 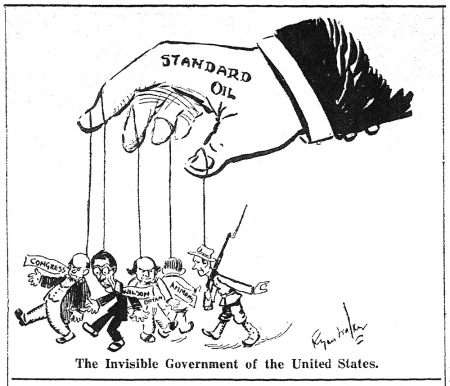 In 1870, at 31, Rockefeller teamed up with a brother and others and founded Standard Oil. He gave secret kickbacks to any railroads willing to bring oil to his refineries. 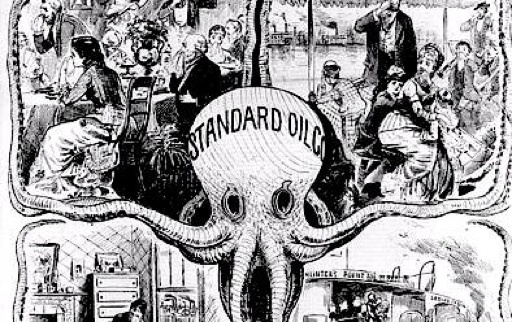 By 1879, Standard Oil was refining 90% of the oil in the United States. Rockefeller set up a vertical operation: warehouses, docks, tank cars, even a barrel-making facility. He made so much money that it was hard to keep track of all he was giving away. So he hired a staff to help him. That became the Rockefeller Foundation. As his investments grew, he gave away more and more money, but nothing ever really made John D. Rockefeller smile. It wasn’t an easy life. In fact, it was so stressful that when he was in his mid-40s, Rockefeller developed alopecia – he lost, permanently, all his body hair. This was one problem money could not fix. And John D. was not about to admit it. So what to do? He had a series of wigs made to look like his hair was slowing growing. When he got to the wig with the longest hair, he switched back to the shortest wig – voila! He had just gotten it cut at the barbershop! 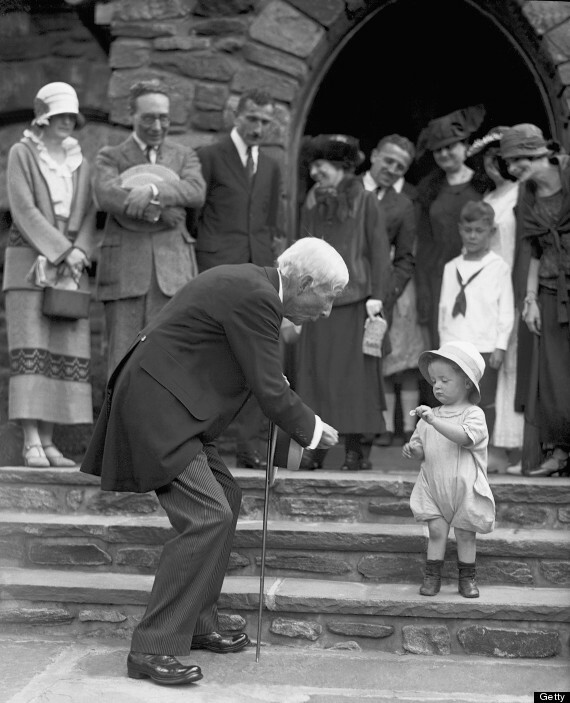 John D. Rockefeller on his 84th birthday.